Well, extraordinarily, the Dumbarton -v- Stranraer game did indeed go ahead, and I had a fabulous day - in spite of some dire football and a not entirely unpredictable 1-0 defeat. Hopefully we can pick up a point or three on Tuesday night. A number of us were on 'forking alert' early on Saturday morning, but a pitch inspection at 8am showed that the required drainage (inhibited by impacted roots, I gather) had taken place. Thankfully there was no more rain until about 4pm, so the pitch survived and so did the match. Though as Pauline Goodlad pointed out to me in a text, "at least if you don't play you can't lose!" More will follow on 29 March (including the programme notes for DFC and Exeter), when I am properly online again. The picture, courtesy of Donald Fullarton, is of me with Carla Roth, my wife, and Tim Rhead of Dumbarton & Lomond Amnesty International. Well, here I am about to head over from Edinburgh, where we've been staying with friends, to Dumbarton for the match against Stranraer tomorrow.... but with the pitch waterlogged, there doesn't seem very much chance of it being on. Inspection tomorrow morning, in all probability. Ah well, that puts a bit of a dampener on the 50th birthday plans. But fingers crossed -- and for Tuesday night against Forfar. Rain on the parade is hardly a first for the practiced football fan, unfortunately. Well, it would have been much more fun if it had been England with la Beckham and all. But they've chickened out, it seems. So Scotland will face Northern Ireland at Hampden on 20 August. Should be fun. Well, it should have been a win away at Stenhousemuir today, my sources tell me. The Sons played well, but a second half revival from Stenny evened out an early lead secured by Andy Geggan, who got booked for the celebration. As I nearly did at St James' Park Exeter, when I received the news we were ahead by text. Punching the air to celebrate a lame throw-in against Kidderminster may have looked a bit odd to those around me, as would my yellow and white scarf (the Harriers unfortunately play in yellow and blue away, I discovered), but the Dumbarton mini-revival is pleasing to the soul. Sons might have hoped for more than a 1-1 draw following the 1-0 home victory against 'Muir, but 11 points from six games isn't at all bad, given our previous run of ten losses punctuated by just two victories. Manager Jim Chapman, who will talk to DFC fans after the Stranraer home game next week, is clearly doing something right. First we need three points off the Shire on Tuesday night, however. Meanwhile my holiday in Scotland and three fixtures (two at the Rock one at East Fife) is impending. I can't wait. The overall health of Scottish football is a difficult thing to judge. It depends where you (and your team) sit. It depends what your comparators are. National team, SPL, League, non-league and the huge gaps within and between them all defy easy summary. The obvious bad news story at the moment is Gretna, a salutary reminder about putting all your eggs in someone else's financial basket. They'll survive this season now, thanks to help from those who have an interest in their preservation (if not from friends). But the future is bleak and there are harsh lessons to be learned. Elsewhere, teams struggle against the daily realities of dosh, dole and doldrums. There are positive signs as well though, without a doubt. It will be interesting to see how Scotland fare against Croatia at Hampden on Wednesday, after the visitors are given a heroes' welcome (for about five minutes) for having dumped England out of the 2008 European Championships. If Fabio Capello's men fail to make a dent at the Stade de France on the same evening, the rejoicing north of the border will be even louder. We beat Les bleus twice, remember? But the real cheer, for me, came with domestic results that saw the Old Firm rocked. The success of Aberdeen against Celtic in the Scottish Cup, and the even more remarkable draw - so nearly a win - that First Division Partick Thistle pulled off against Rangers in the same competition are well worth celebrating. If only Dundee United could have taken the League Cup. So near but so far. Of course the gulfs remain. Some 20 points between the third placed SPL side and the Glasgow giants, even more in money terms. The odds are so unevenly stacked, it's laughable. FIFA's boss has said that the Bhoys and the Gers should not cross the border to take on the English. He's right. For the time being. We're damned with them, damned without them. But how long national borders will survive the onslaught of the wheelers and dealers is yet to be seen. Back in 2003 the Exeter City Supporters’ Trust brought a dismal history of mismanagement and (as it turned out) misappropriation to an end when it took control of the Club. It would be daft to pretend that absolutely everything in the garden or on the pitch has been fine and rosy since then, but by any standards the progress made has been considerable. Grecians fans and all involved in the Trust can be proud of what has been achieved so far, including a membership heading towards 2,500 and some £700,000 raised for the Club by its supporters. Sooner or later – and obviously, everyone hopes it’s sooner – that endeavour will be rewarded with a League place again. For in spite of some difficult spells, losses and injuries since that bruising loss in the play-off final last season, City have kept on pushing to be in contention again. Others have not been able to do that. Oxford United, who boasted a huge fan base when they came down, and for most of 2007-8 looked as if they were going straight back up under their then manager, the wily Jim Smith, lost out to us in the semis and have not recaptured their glow since. It will be mid-table obscurity for them this year, something that the Grecians have not had to endure. We’ve been there or thereabouts ever since we kicked off in the Conference. Of course, for the fans, “that’s not good enough”. It never could be. But if we don’t quite make it this time (and ECFC fans have to believe we can, with a powerful run-in this April), we can still be proud of keeping the Club spirited, competitive and looking for the edge that will take us to the next level. Part of that energy, undeniably, has come from the nature of the ownership and the investment of so many people who care passionately about Exeter City in it. As Peter Evans points out in his new Times Online Fanbase column, that ought to make the supporters of many a ‘big club’ green with envy. Just think about the topsy-turvy events that have struck football since our Trust was a mere gleam in the eye of those who ended up launching it. Chelsea have been annexed by a Russian billionaire. American owners have come in at Manchester United and Liverpool, bringing big debt as well as big investment. As for Gretna in the Scottish Premier League, who may not even be in existence by the time you read this: well, the whirlwind romance that started in 2002, when they entered Scottish football and hitched up with a millionaire, has now left them cruelly jilted as their owner lies on his sickbed. But there is another emerging story, to which Exeter City is affiliated. It’s about football coming home rather than ending up in the pockets of the corporates. This story includes the likes of AFC Wimbledon, who have recently concluded their war of attrition with ‘Franchise FC’ (a.k.a. Milton Keynes Dons) with a ceremony in the unlikely setting of Merton Town Hall, where they were recognised by all concerned as the true inheritors of ‘things Wimbledon’, including that famous FA Cup triumph over Liverpool on 14 may 1988… which I watched at some ungodly hour from a sweltering house in the western suburbs of Sydney. Not a night to forget! Meanwhile, the Grecians’ struggle to take rejuvenation to the next level in football status, as well as in terms of ownership and community involvement, continues with this very match. It’s something worth shouting about – and that’s just what the players need. Well, I hesitate to say it, but after a really difficult start, things do seem to be looking up a wee bit for the Sons. Whether Elgin have proved me right or wrong by now*, seven points out of nine from the previous three games, including one on the road, was a real boost. It’s just a pity that postponement meant we lost the chance to put a few past Forfar at SHS on 8 March. The rescheduled fixture on 1 April is bang on for my next trip up from Exeter, I’m glad to say. But seven games in 21 days starting this afternoon is certainly a demanding schedule for the boys. In small leagues, the difference between joy and sorrow can be a few games, half a dozen goals and a handful of points. I remember that bright sunny day back in 2004 when we beat Alloa 3-1 in the last home game of the season. We were in Division Two then. A third place finish was more than many expected, but if Hamilton had lost (admittedly a tall order) it could have been even better – competing for a place in the SPL in season 2004-5. Instead, that year, the slide back to where we are today began. We’ve long faced the fact that this season is about consolidation and planning for the future. No doubt manager Jim Chapman will tell us how he sees things shaping up when he meets the fans on 29 March. But the anticipation for next year, without a doubt, is that Dumbarton can get back to challenging for a return to Division Two. It’s going to be tough, but with a lot of hard work from players, staff and fans we can surely make it happen. In some quarters of the football universe, by contrast, there are people who believe in magic wands stuffed full of pound notes and sprinkled with stardust. Lucre is the great blessing and the great curse of the modern game, often all rolled into one tempting bundle. Look at poor Gretna (who thought we’d say that? ), whose fate still hangs precariously in the balance. Faced with their sudden demise, you can’t help but realise that it’s sometimes good be careful about what you wish for. The past few seasons seems to have been all joy for the Borderers, with goals tumbling in, wins chalked up, a Scottish Cup Final, and successive promotions each secured on the back of Brook Mileson’s generously spent wads of cash. My goodness, even my 2006 copy of Duncan Adams’ guide to Scottish football grounds still has Gretna in Division One and playing at Raydale Park. Then when I blink, I remember them curiously exiled in English non-league football prior to 2002-3. But with a sadly ailing owner and the money supply marooned, it looks as if the dream became reality more than a tad too soon. Ex-manager Davie Irons, who's now at Ton, wasn’t exaggerating when he told Sportsound the other week that it’s “a sad state of affairs… the club just grew too big, too quickly.” The final price of their rollercoaster, bankrolled success looks like being very high – with administration, a ten point penalty, relegation, redundancies and possibly worse to follow. There are no free lunches in fitba, even for the fat cats. To those of us contemplating ascending to the dizzy heights of the third level of Scottish football it is perhaps hard to contemplate Liverpool’s Champions League quarter finals and the struggle for fourth spot in the English Premier League as “failure”, but to the suits and millionaire players who have mortgaged themselves (quite literally) on something far greater, that’s exactly what it seems. The first comprehensive billionaire owner collapse or Italian-scale corruption scandal has yet to happen south of the border, but don’t bet against it entirely sometime in the next ten years. Has the game got too big for its boots? For a few it has or will do. But others are reading the signs of the times and beginning to wonder. We may all secretly hope for a rich uncle to give us a quick cash injection, but for most of us its going to be blood, sweat and tears. * Elgin proved me wrong. But then Stenny got us back on course. Overall, it's been a good week or so. Rangers are the only remaining British team left in the EUFA Cup, though it has to be admitted that Werder Bremen were robbed. I was listening to the radio commentary, and it was as one-sided an encounter as you could imagine, with the Gers 2-0 home leg enough to take the tie 2-1 on aggregate, thanks to the Werder keeper's two howlers at Ibrox. Commiserations to Dundee United, however. I'd hoped against hope that they might take the Scottish League Cup off Rangers, but it was not to be. 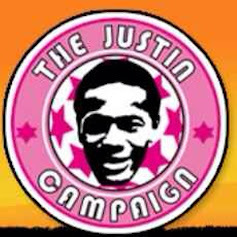 The Tangerines' chairman Eddie Thompson (profiled in the excellent When Saturday Comes magazine this month) has inoperable cancer. He's a good guy and it would lovely for his beloved DUFC to have picked up some silverware, but I'm sure they still did him proud. Ah well, Aberdeen didn't quite make it a win over Celtic at Pittodrie in the Scottish Cup today, and face an uphill task at Parkhead for the replay. Hibs also got dumped by Rangers. So the Old Firm are on course for the Final yet again. My wish, as always, is that others will get their moment in the limelight, as did Hearts and Gretna (facing a real survival tussle right now - good luck to them) back in 2006. Still, down south things have been looking rosy for those of us who fancy an underdog or two. The FA Cup has been dominated by 'the big four' in recent years, but with Barnsley completing a stunning double over Liverpool and now Chelsea, Portsmouth beating Manchester United and Cardiff knocking back Middlesbrough, there will be just one top division side in the Semis for the first time in a hundred years. Only League One Bristol Rovers failed to turn the prediction tables against Championship West Brom this afternoon, getting thumped 5-1. Pompey must now fancy their chances something rotten. But don't bet on us having seen the last cup shock. And 'mon Dons, in spite of your rubbish PremiumTV website, you had a good EUFA Cup run and deserve the chance to turn over the Bhoys in that replay. ... wherever you go. So the song goes. That's especially true if your a Sons fan. Sunshine in the rain, and vice versa. But the last three matches have changed the current climate quite a bit for Dumbarton, with two wins and a draw dragging us off the bottom of the Scottish League and giving some hope of brighter times to come. A great pity, then, that the home game against foot-of-the-table Forfar had to be called off yesterday. As manager Jim Chapman commented, it would have been good to keep the momentum going, and an opportunity had also been fixed for supporters to talk with him after the game. Sonstrust chair Denise Currie commented : "It's a real shame that today's game is off as we had a lot going on at the Stadium today with full hospitality and of course the opportunity to quiz Jim after the game. But the manager is not getting off that lightly as we will organise another game for the fans to pose their questions!" That could be on 29 March, apparently, when I'll be in town -- happily. What is the Football Association on? First, they decide to arrange the FA Cup semi-finals for Wembley, to pretty well universal derision, given the fact that "getting to Wembley" for the Final is historically and practically a big part of what the whole lure of the competition is about. This simply devalues it, especially as teams outside the Premier League have done stunningly well this year, and at the very least one of them will go all the way. Then, even more bizarrely, they rule that non-league Grays Athletic FC must pay £14,000 to their former player Ashley Sestanovich, who has been convicted with conspiracy to rob and imprisoned for eight years after a heist in which someone was murdered. Grays terminated Sestanovich's contract prior to his conviction but the FA's judgment means that unless they pay the player's wages for the preceding five months they could face suspension from all competitions. Bonkers. Stellar son-of-Grays Russell Brand (pictured), whose Guardian footie columns I love, has it well taped here. He writes: "Whilst I acknowledge that the FA has no power to override employment law I think they have an obligation to be supportive to Grays Athletic at this time of crisis, [and] giving them 14 days to pay this fine or risk suspension seems draconian. It is a malevolent gardener who so unthinkingly condemns his lawn. Instead of administering the Baby Bio they're out there blundering about in stilettos." Now try 'If Keegan's a messiah I want the cockney Moses.' Mind you, if Elijah turned up at NUFC the Toon Army would complain, and think Shearer's cat had more prophetic nous. 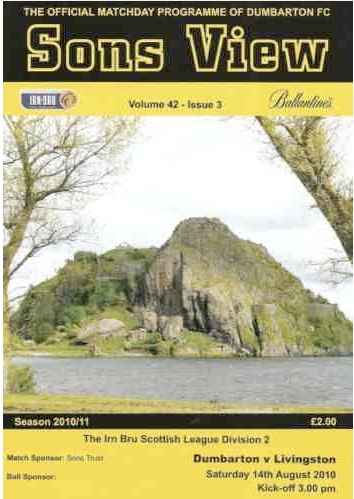 As Dumbarton seeks to re-build from the basement upwards, with Jim Chapman at the helm and a difficult two-and-a-half seasons giving way to what we hope will be a brighter footballing future for Sons, given time, attention is also moving towards Scotland’s World Cup qualification prospects – with an intriguing preparatory friendly against Croatia scheduled for 26 March. As it happens, the announcement of what will be new national coach George Burley’s first game in charge came the day after I had booked my next trip to Scotland. Yup, I’d decided to head up on 27th, in time for Sons’ home game against Stranraer and the following week’s away fixture at East Fife. One day out. Ah well. Croatia are now ranked 10th in the world rankings, so they’ll be a good test of the new regime and the ‘Scottish renaissance’. Added interest is supplied by the fact that the Croats ended England's hopes of progressing to Euro 2008 with a 3-2 victory at Wembley. So a victory for the Scots at Hampden would have added sweetness. There’s also the outside possibility of a mouth-watering encounter with the Auld Enemy this summer, since both teams are on the sidelines for the European Championships in Austria and Switzerland, but remain keen to keep their passions flowing in advance of the World Cup qualifiers in September and October. Then again, the English FA is said to have put the kibosh on that one. We’ll see. On paper, Scotland and Norway should be the closest rivals of Holland in the chase for the 2010 finals. So the first two away ties in Macedonia and Iceland will be vital, as well as a good result against the Norwegians at Hampden on 11 October. Getting to South Africa is a realistic possibility and a difficult prospect rolled into one. But the Tartan Army may have to endure yet another dramatic showdown against the Oranje on the final day. Scotland host Netherlands on 9 September 2009. If all this seems an age away, just you wait. It’ll be upon us frighteningly soon. By which time Dumbarton will be on the up and an ‘England vanquished’ souvenir shirt will have been added to those two French ones. Well, we can dream. Back in the real world, the appointment of George Burley seems a solid move, whatever the questions about Terry Butcher – whose record in Scotland has been blemished by painful appointments and personal despondency in Sydney and at Brentford (where I watched my first ever live football in season 1966-7). His managerial career may not have been spectacular, but Burley’s made himself friends, allies and admirers in many places. At Southampton he turned round a team demoralised by relegation from the Premiership, wounded by boardroom bust-ups, and perilously positioned at the tail end of its ‘parachute payments’ for demotion from the top flight. Burley guided Saints to the 2006–07 Championship play-offs, losing on penalties in the second leg of the semi-final after drawing 4–4 on aggregate against his former club Derby County, who went on to win the final. Equally, one can’t help wondering what would have happened at Tynecastle if the new Scotland boss’s short but stellar reign hadn’t been cut short through Hearts’ flirtation with the madness of the Romanov revolution. He has tactical nous, respect from players, led unfancied Ipswich into Europe, and maintains trustworthy links on both sides of the border. Hopefully Eck’s legacy will continue. Scotland have qualified for nine World Cup Finals, though as pub quiz aficionados know, we’ve only actually competed in eight. In a fit of what may now be regarded as misplaced honour, the Scottish Football Association declined to participate in the1950 finals because Scotland were not then British champions. These days it’s astonishing to recall that we reached the finals of every FIFA World Cup from 1974 to 1990. The golden years. Then again, agonisingly, Scotland missed out on progressing to the second round on goal difference three times: in 1974, when Brazil edged us; in 1978, when Holland stole the glory (in spite of that wonderful ‘Gemmill moment’); and again in 1982, when the USSR went through. What fate will befall us this time? It’s hard not to feel nervous. But the Euro campaign has turned hearts and minds, which, if not half the battle, makes a big difference. This time, more than in the previous two outings, the challenge is in Scotland’s own hands. That’s what we want for Sons, too. What better way can there be to sort out the true football fan from the dilettante than a windy, freezing Tuesday evening in the middle of nowhere? Or, in this case, mid Sussex. So it was that, inspired by Pauline Goodlad's dedication to the cause of the Grecians, and within striking distance due to work commitments in London, I headed off to see Exeter City take a point off low-flyers Crawley Town. In reality it was two lost rather than one gained, but thankfully Burton Albion have somewhat lost the plot lately, so ECFC remain in the play-off zone with their fate in their own hands. Three points away to York City on Monday is a necessity, though. It was, as Snoopy would put it, "a cold and rainy night", braved by only 841 people, 301 from the South West alone. The lure of the pub, the fireside and Champions League football on the telly probably counted for a nother few hundred. The chips at the Broadfield Stadium are, I must report, a good consolation; the football less so. Thankfully there were enough incidents to make it a more than bearable occasion - including a well-struck 25 yard free kick by Exeter's Rob Edwards inside 14 minutes, and Dean Moxey's opportunistic equaliser on 80. Exeter should really have stolen the game, but they were a little off colour. Special mention should go to Crawley's Bradley Thomas, whose ability to grab hold of an Exeter shirt at set plays while avoiding the ref's gaze (no doubt entirely accidentally) was one of the most consistently impressive displays of the night. Unless you were a Grecians fan. Perhaps the best entertainment of the evening, however, came courtesy of the, well, lack of courtesy of the Exeter fans. For some reason, Crawley's keeper was wearing a number 22 shirt, as well as a rather curious all-weather ensemble which made him seem less than battle-hardened. So the Grecians began a chant (to the tune of 'Knees Up Mother Brown') of "You're not num-ber one, you're not num-ber one; you're not number, you're not number, you're not num-ber one..." Yup, then two, three, four, five, six, and right through to 21. The whole thing must have taken ten minutes, and the final verdict a less than flattering "'cos you're sh*te." Poor boy. Incidentally, the Crawley matchday programme is informative, well-written and well-designed. A good addition to the collection. Meanwhile, commentator Tom Ferrie is perhaps most famous for: ""Dumbarton player Steve McCahill has limped off with a badly cut forehead." A classic Gaffta winner, that. How could I go nearly a month without pointing out that the Sonstrust, the Dumbarton supporters' hub, has a splendid new Wordpress blog online? Especially as they were kind enough to link here. The Sons Supporters Society Limited formally came into being on 22 May 2003 when registration as an Industrial and Provident Society was finally rubber stamped by the Financial Services Authority. In reality the Trust, Scotland's first, has been in existence for three years and continues to grow steadily. I am proud to be member number 125. 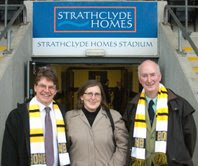 Incidentally, the members' business debate in the Scottish Parliament on Wednesday 20 February 2008 saw cross-party support of the work of supporters' Trusts and Supporters Direct in Scotland. A full report can be found in the next SD Magazine (due in March) and a link to the Official Report of the debate is here. Aside from action, excitement and romance, the curious lure of football is undoubtedly enhanced by those dodgy machinations surrounding almost everything that happens off the pitch, let alone on it. I’m talking about the rivalries, the boardroom manoeuvring, the transfer speculation, the takeover bids, the dressing room fracas, the managerial ups and downs, the business rumours. Sometimes it all gets on our nerves, or turns us into ‘three-pint pundits’ (each drink liquidizes another part of the brain and renders it more susceptible to extreme views). But there’s a bit of us that loves it, too. That mixture of horror and fascination has certainly been felt at St James’ Park in recent years, as the media has repeatedly observed. Except that I’m talking about the real St James’ near the Exe, while most of them are fixated about the one shrouded in fog on the Tyne. Here at Exeter we’ve experienced the drama of near bankruptcy, heart-wrenching rescue, court cases, jail sentences, the formation of one of the finest football Trusts on the planet, a pop superstar landing in a helicopter, relegation, Cup glory against Manchester United, a Wembley spectacular. You name it. One thing it hasn’t been is mundane. If we were ordinary mortals, rather than footie fans, we’d perhaps welcome a bit of mid-table obscurity just to normalise our pulses, wouldn’t we? Not a bit of it. We’re delighted to be back in the play-off zone again thanks to that scraped win over Farsley Celtic. And there are many more extraordinary twists and turns to be had in the Grecians’ story, for sure. But its still good to keep a grip on the basic realities – which, despite the sometimes violent swings of pessimism and optimism, we ECFCers mostly manage to achieve. Unlike the denizens of that other St James’ Park in Newcastle, where they really do seem to live in an alternative football universe populated by pixies, pirates and endless possibilities. But no trophies for fifty years or so. “I want a team that will give Chelsea a walloping,” owner Mike Ashley proclaimed at a press conference few weeks ago. That was before the 5-1 humiliation at the hands of Manchester United and a run of six games with no win, 3 goals scored and 16 conceded under the tutelage of “people’s choice” King Keegan. You can’t fault Ashley’s ambition. But you also can’t help but wonder whether the chairman pulling on the Club jersey and yelling homely advice from the terraces is really the best way to make sound judgements. Especially when those terraces are awash with black and white expectations and testosterone. One way to silence the overheated longings of Toon fans is to give them what they want and see if you can benefit from an adrenalin-driven energy boost. That is essentially what has happened with Keegan’s surprise appointment as pitch side Messiah. The problem is that ‘Wor Kev’ has inherited Sam Allardyce’s re-spray of a team - one with more holes in it than my old green jumper, not to mention an enfeebled strike force. All of which, along with a sketchy tactical plan, rather compromises the “you score four and we’ll score five” ethic, until Mr Ashley opens his sizeable wallet again in the summer. It might work. It probably won’t. But in any case, I know which St James’ Park team I’d rather rely on to deliver some sustainable progress over the next few years. League Two here we come, this season or next.